Friends of Kotaku, you're more than welcome to take this thread and make it your own, flavoring it with all the off topic conversation that you seem to like so much. So, have at it. Anyone going to QuakeCon this weekend? I've never been, but it seems like it's going to be a good time. I might play a little Quake III Arena to get my enthusiasm up for the first-person shooter fest. If you are going, let us know in the comments. Otherwise, enjoy the following links and have a ball talking amongst yourselves. Adios, amigos! Google says its a target of "a hostile, organized campaign against Android by Microsoft, Oracle, Apple and other companies, waged through bogus patents" - Patent reform, please. 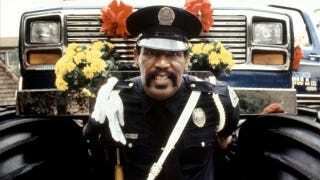 Bubba Smith found dead at his home - Smith, NFL defensive end and tackle for the Baltimore Colts, Oakland Raiders and Houston Oilers, was 66. Mariachi band serenades beluga whale - Awww. The Atlantic's photos from North Korea - Looks mostly staged, but still fascinating. The fall of Martha Stewart - The downward turn of Martha Stewart Living Omnimedia after her release from prison.